Why is it important to teach our children about the Tower of Babel (Genesis 11:1-9)? Only the Bible contains true history. There are a lot of theories in history textbooks, which try to explain the origins of our world. Some theories say that mankind had its roots in Africa. Some say that Egypt was the first great culture. Some even say that aliens from other planets came to our world and taught us how to build great empires. Yet how can we explain how so many cultures have similar temple structures, worship the same kinds of gods, and even have similar myths of creation and a worldwide flood? If we understand that the Bible contains true, eye-witness accounts of history, then we know that Genesis explains all these things. God says that mankind had its origins with a single set of parents, Adam and Eve, but that all their children except the godly line of Seth rebelled against God and were destroyed in a flood of water. After the flood, Noah’s three sons and their wives became the parents of all people, cultures, and nations that exist on the earth today. The reason every culture has similarities is because they all originated in the same place. The Bible says that before people were scattered over the face of the earth, they united in Babel in defiance of God. Before God changed their languages, they had one religion and a one-world government. They built a temple there, known to us as the Tower of Babel, that became the template for temples, pyramids, and ziggurats all over the world. Knowing what the Bible presents about the history of mankind and believing in its truth makes all the rest of history make sense. It is imperative that we teach it to our children! Babel (Babylon) is the empire that has tried to rise up against God. Babel (Babylon) was a real place in history, where Nimrod led a rebellion against the God of heaven. Babylon is also a world system, a philosophy, and a religion, one that continues to permeate our world to this day. After the tower of Babel was abandoned, its world system, philosophy, and religion have continued to survive all the way down to our present time. By searching for references to Babylon in the Bible and by reading what it says, we can have a much better understanding of our own Babylonian-like culture, as well as God’s plan for the future. It is imperative that we teach it to our children! There are only two world religions: God’s and Satan’s (Psalm 2:1-2, Ephesians 6:12). Sometimes it’s difficult to understand all the religions in our world today. We have choices such as Zoroastrianism, Hinduism, Buddhism, Jainism, Taoism, Confucianism, Judaism, Catholicism, Christianity, Islam, Baha’i, Unitarian Universalism, and so many more. When we learn how the people of Babel “worshiped and served created things rather than the Creator,” we can then easily spot the lies of Satan when they are presented to us today. It is imperative that we teach it to our children! God says that Babylon will fall (Revelation 11:15, Revelation 18-19). Every prophecy God has made so far has come true, exactly as God has said it would. In the same way, God’s prophecy of the downfall of Babylon, this world’s system, will also come true. 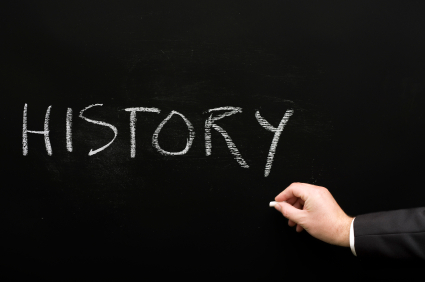 One of the purposes of using God’s Word to teach history is that it instills great faith in our children. They can easily see that God always keeps His promises, which gives them the courage and strength they need to walk with God in their daily lives. It is imperative that we teach it to our children! God wants us to “come out of Babylon” (Revelation 18:4-5). We are to be different, from the inside out. First, we are to mark our children on their foreheads, by firmly planting God’s Word in their minds. We are to help them use God’s Word as a standard for all their thoughts. Next, we are to help our children do what God’s Word says, by teaching them how to be obedient in every way possible to God. As you know, we accomplish these two goals by first placing God’s commands in our own hearts and then talking about them with our children all day long. This is why homeschooling is such a great opportunity! We have the time we need to study with our children and then to implement God’s Word (our textbook) into our entire lives. It is imperative that we teach it to our children! Let me preface this by saying I grew up in a religious, church going household, but not a household (or “church”) that taught about being saved or that the Bible was true. I had heard the story of the tower of Babel but never truly understood it. I remember as a brand new believer, age 14, reading the story through reborn eyes and being so excited at knowing and understanding why there are so many languages in the world. I ran downstairs to my mom ( I can ever remember where she was standing!) and excitedly told her my discover. Her response? “That is only a fable”. Deflated I went back upstairs. But I knew in my heart she was wrong. I think what disturbed me the most then and still does now, is that is truly what she believes! Praise God we are given the truth in His word!